Download Alcor AU 5019 format tool and repair Corrupted alcor AU5019 and Alcor AU6989SN-GT chip controller .Alcor AU 5019 firmware update can repair your flash disk . AlcorMP UFD 14.09.26.MD 6989SNL has been designed to reformat and update Alcor Chip controller with the following chip part number "AU 5019 ,AU 6989 SN-GT " .Alcor AU 5019 format tool can repair and fix Alcor format errors such as write protection ,insert disk and other format errors . 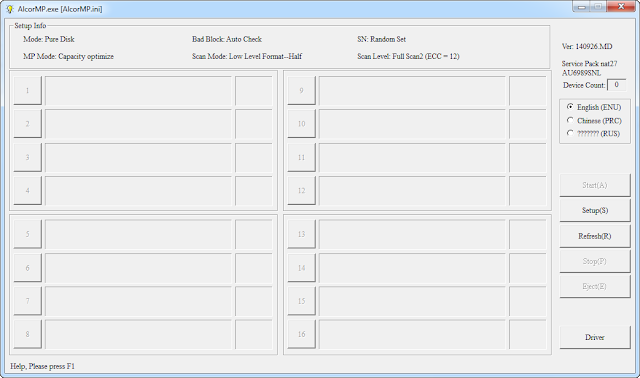 Before Using Alcor AU5019 format tool , please check your flash drive chip controller "it must be Alcor AU 5019 or Alcor AU6989SN-GT " .you can use Chip genius software or USB Deview V2.30 utility. Please Read this article to know how to extract your flash drive information "How to repair corrupted flash disk " . How to repair Alcor AU5019 Chip controller ? First Insert your corrupted Alcor AU5019 flash drive to your computer . Download AlcorMP_UFD 14.09.26.MD_6989SNL.rar from the download links below ,please choose one download link . If your flash drive chip controller is Alcor AU5019 or AU6989 , your flash drive information will appear on the software . 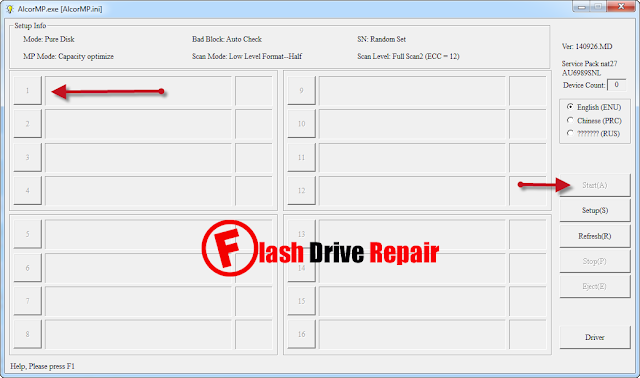 Click start to begin updating your flash drive firmware . and tools is asking for password! please help me how to format this corrupted flash.